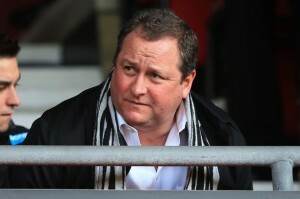 Some of the Newcastle fan organizations tried to get the Newcastle fans not to buy their season tickets in the summer, as a protest against the club – Mike Ashley and manager Alan Pardew – but after a very good transfer window this summer (so far), the season tickets have probably sold quite well. And the club seem to be able to sell the vacant seats at each home game by giving out some good deals on those available seats, and we suppose the goal as far as the club is concerned is to have a sell-out crowd at St. James’ Park for each Premier League game. And Newcastle also frozen ticket prices for up to ten years, so we seem to be losing out on revenue to get the stadium packed full – although match day receipts are a decreasing part of the overall revenue these days – with massive money coming in from the Premier League every year. A full house is expected this afternoon when we take on the PL Champions Manchester City, in what should be a good game. We expect the season ticket sales picked up towards the end, once Newcastle brought in players like Siem de Jong, Daryl Janmaat and Remy Cabella. Cabella seems to be the new darling at Newcastle United – because the 24 year-old seems so upbeat and positive to be at Newcastle and playing in those famous black and white strips. We hope we get a sell-out crowd today – and that we can get a win too – unexpected as that would be. If we do get the win – we may even be a bit late reporting on the game. SJP needs to be full for games like this, but we won’t know that until 4pm this afternoon. I have not heard anything about season ticket sales from the powers that be, but I expect the stadium will be full. All I want from today’s game is a performance from the squad, an attacking display of football and if we win that will be a bonus, but for me commitment and team cohesion come first. Well it’s match day lads and game face is on lol. Setting off soon on the 300 mile round trip to SJP. This is what the PL is about and what we all live for……A full house roaring to the rafters, Jesus I bet Cabella and Riviere will have goose bumps running down their spines. If Man city are anything like last week then they are there for the taking. It won’t matter if we keep defending till last minute and get a draw,which is satisfactory considering we are playing with top four team.I don’t care if we play attractive football,with cohesion or play with bad display, what matters to me is the result we want at the final whistle. Sad times when fans accept the way the club is being run, I miss the days when we beat Barcelona 3-2 in the champions league or when we made signings like Alan Shearer? Gone are those days and I don’t understand any fan who is happy to not be in Europe or to challenge for silverware, Bargain bin signings? Loan signings? Wonga? Our manager head butting players? It’s shameful. Shearer’s right in that the 50,000 who turn up today because they love their football, will get their wish. Pardew’s on record as saying he’s going to have the lads playing a brand of football that’ll excite the crowd. So 50000 folk’s expectations have changed and they’ll suddenly appreciate defend and lob football? Catchy, if you’re questioning expat’s sanity, you should bear in mind that he’s not obsessed with getting Pardew out, no matter what. They will never Learn ! Unless the full house are all Citeh Supporters ! Not expecting the win ! I think we will see the toon start cagey and try and catch out cited on the break. Don’t think we can match them toe to toe in a slugging match. Keep the faith! I read this blog a lot and have only just started posting. Most of the stuff you talk about like Signings, formations, slating our own players is just nonsense, although I have to admit everything you’ve just said about Pardew is spot on, especially the free kick straight to Williamson who misses it or gives away a foul 9 out of 10 times. Pardew should’ve been sacked after head butting incident end of. My head says a defeat is on the cards but I think this is the best time to play them so we could sneak a result. I just hope the lads give it a go. I can take a defeat of city but all I ask is we get at them and have a go!